Peterborough Town progressed to the fourth roudn of the National Club Knockout Cup yesterday (June 4). 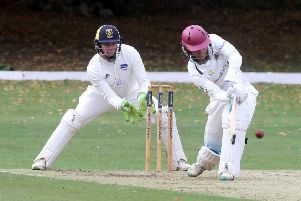 They entertained Banbury at Bretton Gate and won by five wickets after dismissing the visitors for 170. Ryan Evans took 4-17 and then Alex Mitchell (52), Scott Howard (39no) and David Clarke (38) scored the bulk of Town’s runs.